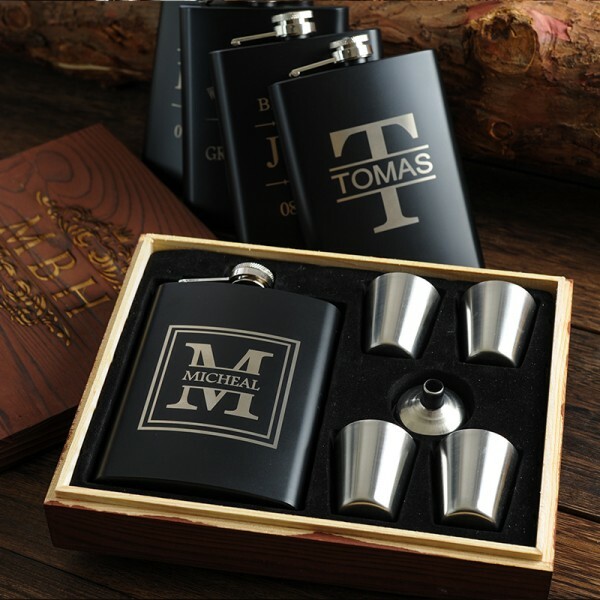 Here’s the ultimate gift for your groomsmen who insist simple luxury. 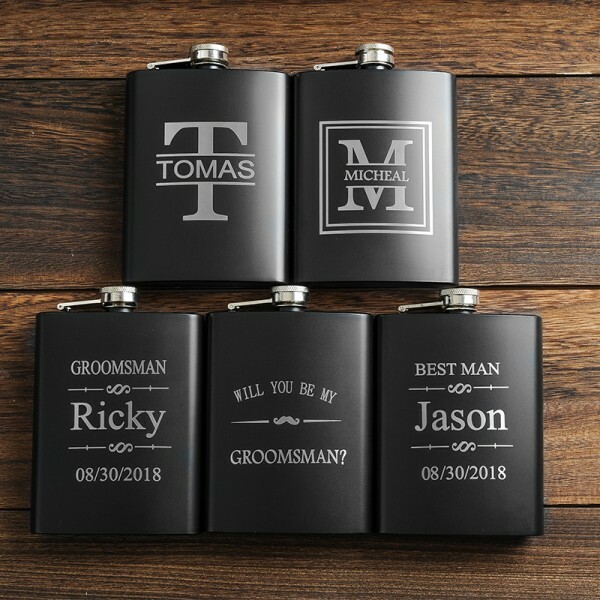 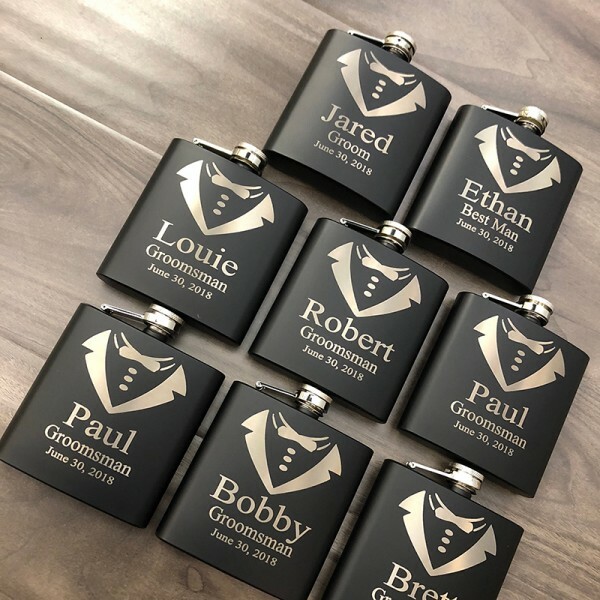 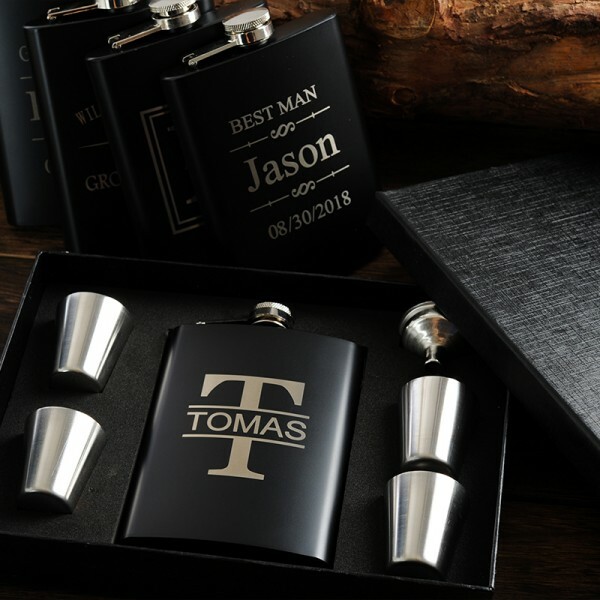 Refined, classy, and to the point, our stainless steel flask makes an ideal groomsmen gift. 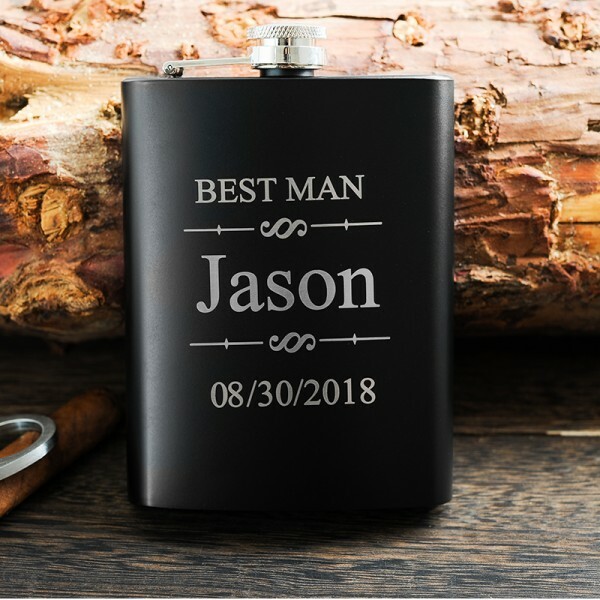 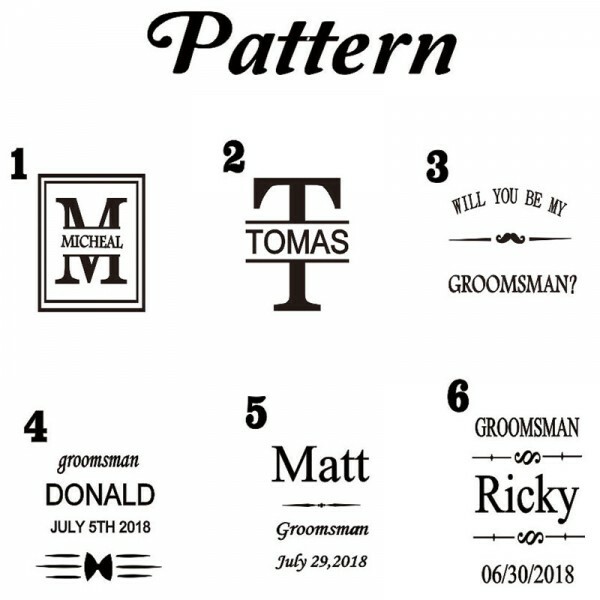 Question about Personalized Wedding Flask is Successfully Submitted.